Use the outgoing COMM port number that is created to configure Provision. Select the options tab, then communications port settings. Click the add button, then serial. Name the connection and select a serial port number. Check the “This is a Bluetooth Connection” box and save. 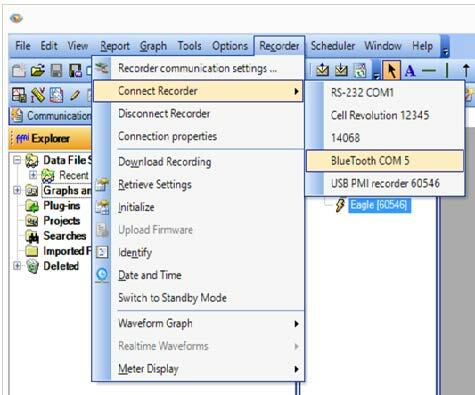 First, use the PC’s network manager to connect to the recorders WiFi network. Use the recorder’s WiFi address when configuring Provision.